Brewers News - Nine new Farrow & Ball Colours are coming! 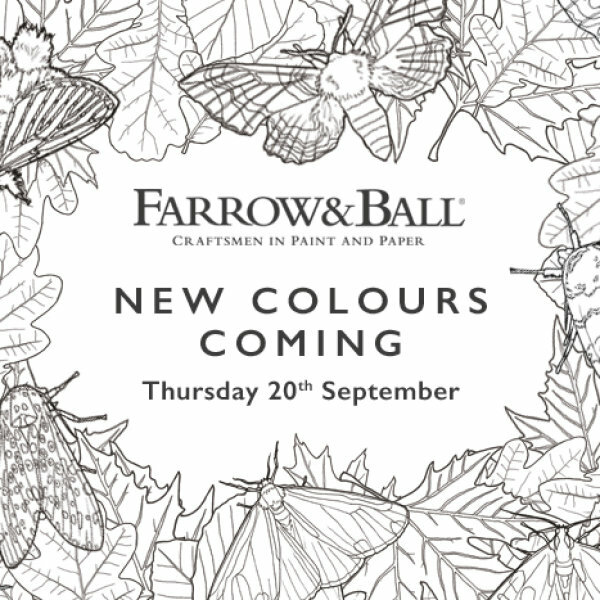 New colours don’t come around very often so were thrilled that Farrow & Ball are launching nine new colours on Thursday 20th September! These nine new colours will be available at Brewers Decorator Centres. All will be revealed on the 20th September but in the mean time, why not get yourself organised! Let us share these colours with you in an exclusive email and be among the first to see the new colours for yourself on Thursday 20th September.